I love having hard-boiled eggs on hand in our refrigerator. They make a great protein-filled snack and give your body a little boost. I usually dip mine in some light mayonnaise with a sprinkle of pepper. Or else I can easily whip up some egg salad or chop them up and put them on top of a salad. I found that it's best to use eggs that are a few days old. 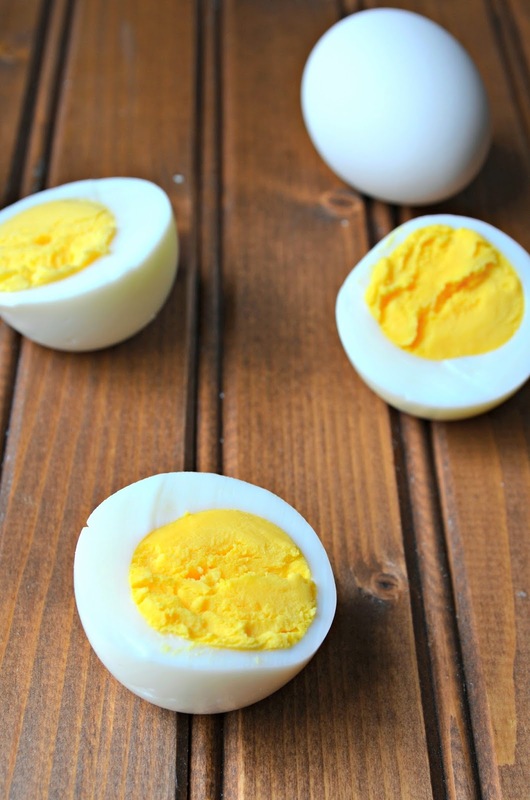 Sometimes eggs get that green ring around the yolk, turn out runny or are hard to peel, but this method has worked perfectly every time for me. Enjoy! Gently place eggs in an even layer on the bottom of a large saucepan. Fill with cold water so that the eggs are covered by an inch of water. Put the saucepan on the stove and turn the heat on medium-high. Bring to a boil and remove the pan from the heat. Cover tightly with a lid. 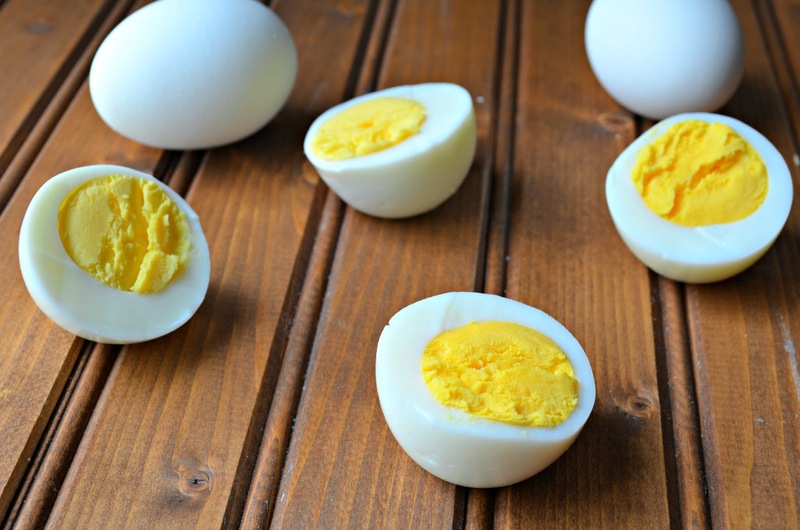 Allow the eggs to stand for 12 minutes for large eggs (or 9 minutes for medium eggs or 15 minutes for extra large eggs). Once done, strain the eggs. Either put the eggs in an ice bath until they are chilled, or fill up the empty saucepan with ice cold water and keep emptying and refilling until eggs are cold. Tip: The easiest way I have found to peel an egg is to gently tap the bottom of the egg (the wider end where the air bubble usually is) against the counter. Then, under running cold water, start to peel the egg where you cracked it. It should easily come off!